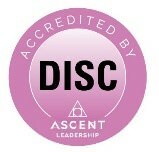 DISC Accreditation Day - What makes people tick? secrets behind personality and behaviour traits. and family… in fact perfect for any situation.